Two years ago I fell into reading Michael Pollan’s The Omnivore’s Dilemma and this act opened the books of Joel Saladin, Carlo Petrini, Sir Albert Howard, Aldo Leopold, Daniel Barber and many others. And, of course, I read Wendell Berry. Poet and farmer, Berry coined the key sentence for all of us who understand there is a connection between soil and the food we buy: “Eating is an agricultural act.” How your purchase your food, cook it, and serve it all leads back to a farm. So, as I write about the aesthetics and ethics of buying a bone and roasting and boiling it, I need to ruminate on Berry’s thoughts about farms, people, soil, crops, Thomas Jefferson, and agribusiness. This will not only be a praise, but a critical consideration as well, especially as Berry connects agriculture and culture in a way that diverges from my path through the woods. 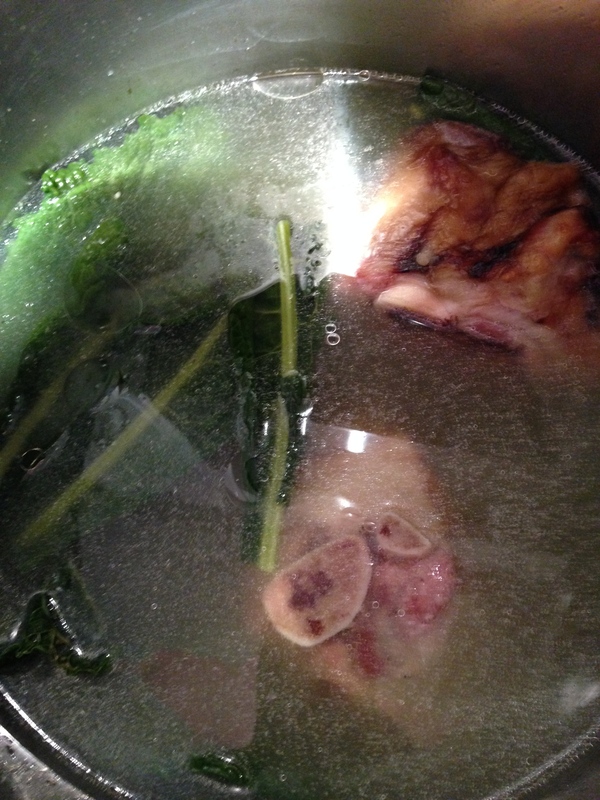 First, let’s wet our appetite with a photo of ham hocks I roasted and then boiled along with kale and the leftovers of my paella stock from a few days ago. We understand, maybe at a level we don’t want to view, decay and rot make the word turn, spin the wheel of life; behind these words we mean death and without death there is no life. Berry continues about his farmer friend, “He says that one can even use bone dust or superphosphate.” There is a reason to have decay and rot in our fields and in our cooking. One way to think about buying the bone with meat attached is it serves as a memento mori of what we are eating and what we will eventually be. 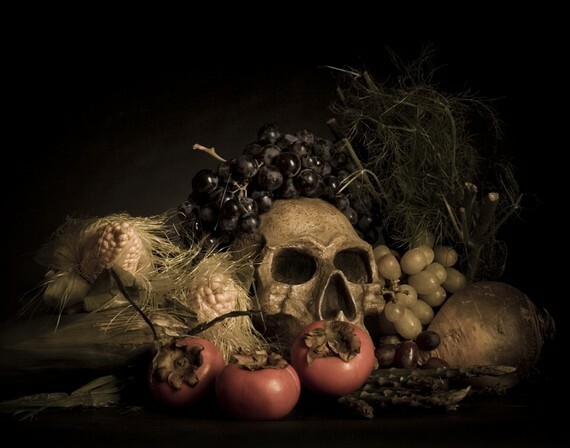 Vanitas, 11×14 print by Photographer Kate O’Brien.